For most, searching for that perfect kitchen knife involves seeking out quality whilst trying to stick to some sort of a budget. However, for those few who money is no object, a world of spectacular, hand-forged blades becomes available to them. As stunning as the blades we’ve showcased are, many of them are not readily available in the UK, so here’s a selection of higher end kitchen knives that can be bought on our shores. This hand-made Japanese knife is constructed from 64 layers of damask steel and is one of just 200 made in the world. Another Japanese knife, this time one specifically designed for dealing with salmon. 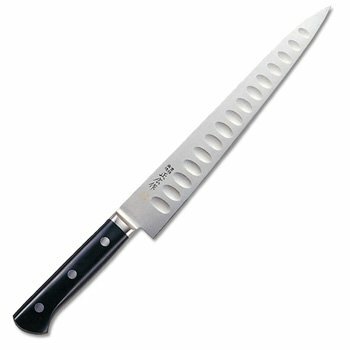 The sharp vanadium steel makes it ideal for preparing Japanese cuisine. German manufacturer Güde have been making knives for over a century. This Santoku knife is their most expensive, encompassing the Damascus forging design popular in Japan. Yanagi knives are also used to slice boneless fish fillets into sashimi and toppings for sushi. This blade is manufactured by Masamoto, a specialist in this particular type of knife. 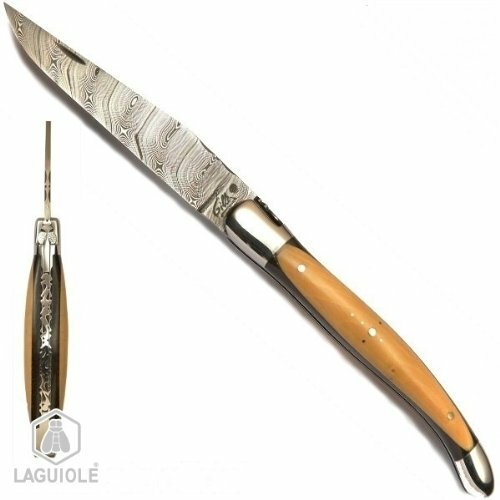 French knife-makers Laguiole make a wide range of blades, from pocket knives to razors. This kitchen knife is not only of high quality but also can be folded away.